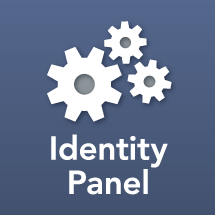 Version 3.3.9 of Identity Panel includes minor enhancements and fixes. CommitMessage(htmlEncode) – Returns the custom message provided when a user saves settings, if present. If htmlEncode is true, the message will be HTML escaped and sanitized e.g. for use in an email. TimeTraveler(objectId, timeStamp) – Returns a properly formatted link to a specific object in the time traveller. The timeStamp argument is optional. Automatically resamples after 1 second for any probe that's not a "NumberOfItems" probe. This allows it to sample counters that are averages in a meaningful way. If the Instance parameter is blank it will iterate all instances in the category for the given counter. This allows single-probe tracking of multiple disks, network interfaces, etc. Base config file includes new templates for Panel Check. Version number pings are now optional.